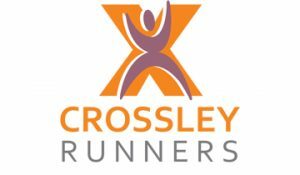 At Crossley Fitness I understand how it feels to be a beginner starting out on a jogging programme. Everyone starts out with that first step, but once you get into the rhythm you’ll find it gets so much easier. I have coached several jogging groups in Derbyshire that catered to a variety of abilities from absolute beginner to half marathon training! I qualified as a Jog Leader with Jog Derbyshire and have personally found that jogging can help you lose weight, get fitter and meet more like-minded people in your own community. I have now relocated to Crieff, Perthshire so I am looking for a new base to run my jogging and running sessions from. If you're dying to get into jogging, or if you have an event you're training for and need some help contact me for 1-2-1 Run Coaching. 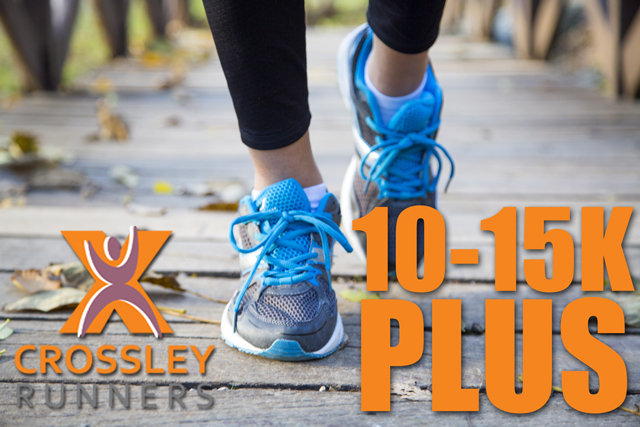 This is a 9-week programme for absolute beginners and at the end you will complete a 5K jog. The programme is designed to gently take you from walking to jogging the 5k without stopping. The programme covers 9 sessions, homework, tips on jogging, nutrition and access to support. 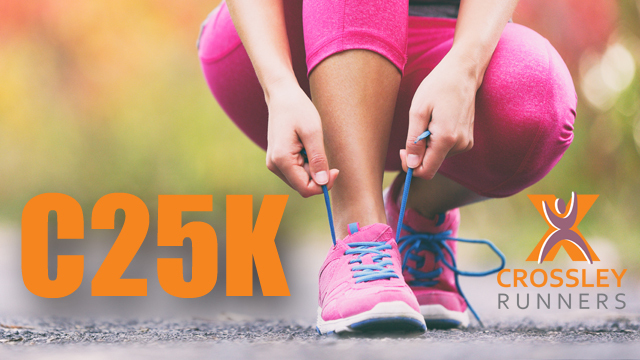 Graduates receive a FREE T-shirt and C25K Certificate of Completion. You are more likely to complete the 5k race if you commit to coming the whole 9 weeks - this is why I ask for the programme fee upfront. This is a 10-week programme for joggers wanting to get their fastest 5K time. We will work on improving technique, pace and stamina and of course SPEED! Programme cost only £35.00 – and includes FREE FAST 5K TSHIRT! The programme covers 10 sessions which are 60 minutes long, weekly homework, tips on jogging, nutrition and access to support. You will be definitely improve your speed if you commit to coming for the whole 10 weeks - this is why I ask for the programme fee upfront. This is a 10-week programme for people who've done couch to 5k BUT don't quite feel ready for 10k yet! I'll take you through upping your distance, improving your technique. We'll do a combination of running, intervals and some drills. The programme is designed to take you from jogging to running further and faster easily - and get you confident to take on a 10k. The programme covers 10 sessions, homework, tips on jogging, nutrition and access to support. Graduates receive a FREE Anti-wicking T-shirt and 7.5k Certificate of Completion. You are more likely to complete the 7.5k run if you commit to coming the whole 10 weeks - this is why I ask for the programme fee upfront. 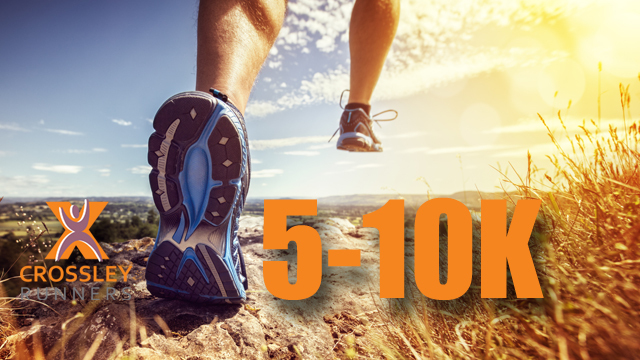 This is a 10-week programme for joggers wanting to go from 5k to 10k runs. We will work on improving technique, pace and stamina. Programme cost only £55.00 – and includes the 10K entry fee! The 10K Race – once you’ve crossed the finish line you receive a goodies and a medal from the chosen race. You will be able to run the whole 10k race if you commit to coming for the whole 10 weeks - this is why I ask for the programme fee upfront. 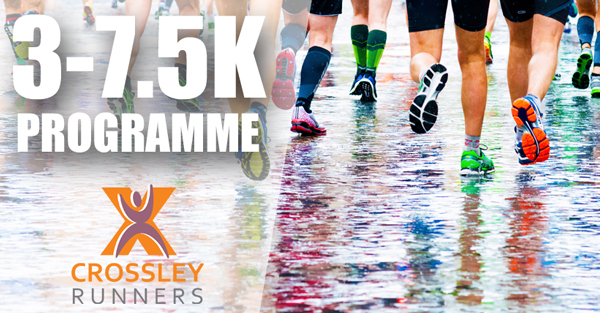 This is a 10-week programme for runners wanting to go beyond 10k to 15k and even Half Marathons. We will work on improving technique, pace and stamina. or £65 which includes Half Marathon Entry Fee! The Half Marathon Race (TBC) – once you’ve crossed the finish line you receive a goodies and a medal from the chosen race. You will be able to improve your 10k PR or run the whole Half Marathon race if you commit to coming for the whole 10 weeks - this is why I ask for the programme fee upfront. AMAZING VALUE! TRY FOR ONLY £3! 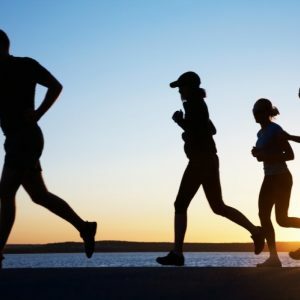 This is a jogging group that is aimed at joggers who have completed a 5k and want to continue to build on their success but are a bit nervous about tackling a 10km straight away. Trust me you'll be fine with whatever distance you choose to tackle next. This is a mixed group that caters to all speeds and abilities. A great way to improve your technique and challenge yourself this year. or why not sign up to the RUNNING TRIBE to access ALL SESSIONS? 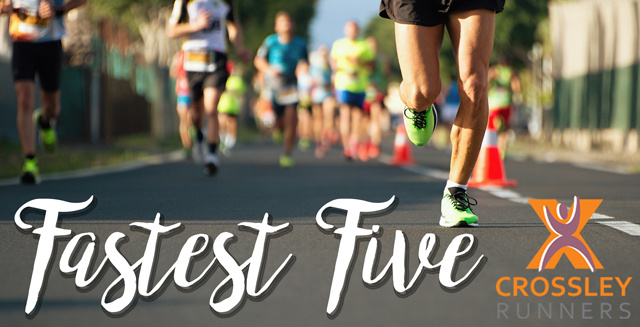 This is a jogging group that is aimed at joggers who have completed a 5k and want to continue to build on their success and possibly even tackle more 5ks (and improve their times) or move up to 10K and beyond! A great way to increase your mileage and speed this year. This is a great way to build your endurance base - which in turn will help you to increase the number of miles you can do. This is a fairly gentle session where we focus on keeping our heart rates in a certain low zone - zone 2. We may even have to walk!! This is my chance to check out your running form, and for us all to practice drills to make sure we can strengthen our bodies and prevent injury! This is a family-friendly session - so feel free to bring your kids if they'd like to run around too - but you will still need to be responsible for your own children. We'll do a variety of drills, strength exercises that support your running, stretches and this will help to improve your running and tone your body. Take you running to the next level! With the Crossley (Awesome) Running Tribe or CaRT for short! This is a chance to join a great online running community and improve technique, increase your speed, run further and take on more challenges with full support. CaRT (Crossley Awesome Running Tribe) provides awesome value and knowledge from being in the group AS WELL AS helping you to reach your running goals. ✔️Each month we'll rotate the focus (so you can continue to improve your running); distance, speed, endurance and strength. ✔️Each month I'll set you (and the free group) a monthly challenge - winners from CaRT get to take home the trophy. Winners from the free group win a month free in CaRT. 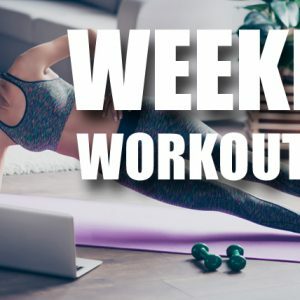 ✔️I'll do a weekly live cross-training workout for your to join in with (if you're about) or you can watch the replay later. ✔️Access to the private CaRT members area where i'll be adding running plans for beginners right up to ultra-marathoners. ✔️Accountability and support within the group. I want you to use the group to arrange run sessions between you, support and encourage each other. ✔️Last but certainly not least.....daily group coaching from me; which could take the form of sprints, live videos, tasks, homeworks etc. I want you to TELL ME what you want to achieve and I will coach you towards that goal. 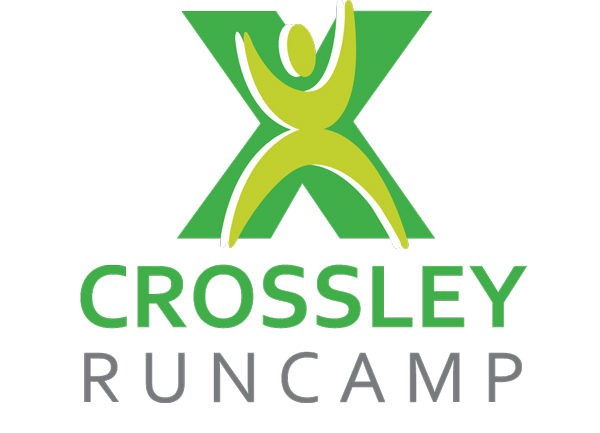 ✔️EXCLUSIVE CaRT discounts on ANY Wee Run Events/Crossley Fitness event. ✔️ADD a second member of your family for only £2!! So you BOTH get the group coaching...at bargain price! Make huge savings and ensure that the weather or feeling 'a bit off' won't stop you from coming - commit monthly and commit to improving your running skills. Together let's make this year the BEST running year of our lives!! This is a monthly subscription that you can cancel at any time.